Utilizing our massive inventory of blanks, we manufacture fasteners inclusive of custom bolts, nuts, and screws for mining, heavy machinery, military, railroad construction, plus agricultural equipment applications. 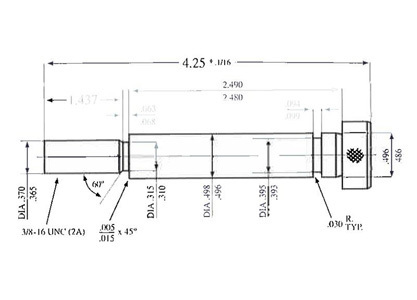 We work with sizes from 1/4" to 4" in diameter and lengths of up to 72". 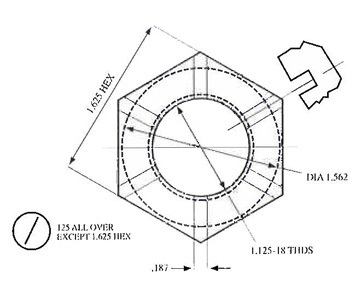 In addition to the distribution of standard fasteners, our reputation is also built upon the ability to meet your unique fastener requirements, such as extra-large and extra-long sizes. 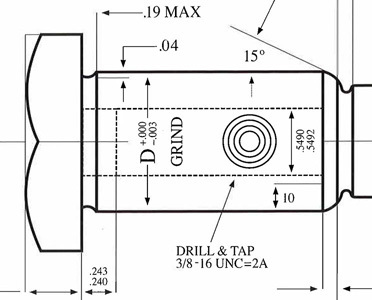 If you need to drill a hole through a part, fit an extra thread, add a special body diameter, or create a special pattern across the flats, we can do it for you. Blanks in every imaginable head style are stocked at our facility, and they can be modified according to your specifications. Once we receive your fax or email containing the specification of fasteners, pricing and delivery details are dispatched within minutes. 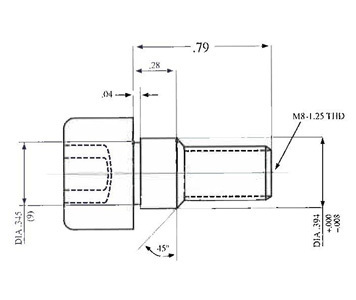 Manufacturing of custom fasteners is undertaken in our plant and deliveries can be made according to your scheduling or lay down needs - be it 24 hours, 7-10 days, or warehousing the parts plus shipping them to your location, when required. We are EDI-capable, and this enables us to provide fully integrated, dock-to-stock supply. Chicago Nut & Bolt is A2LA-registered, compliant with the Fastener Quality Act, and ISO: 9001 2000 certified. This means you can count on us to meet all chemical and physical certifications you require. 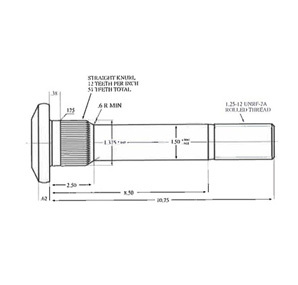 We test our fasteners using sophisticated equipment, including a state-of-the-art computerized system, which produces digitally certified tensile and yield test in accordance with ASTM requirements. 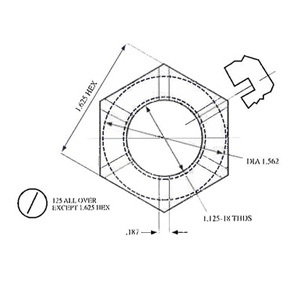 Not only do we manufacture and supply custom fasteners, but also package them according to your size, weight, container as well as labeling requirements, facilitating integration with your inventory plus handling systems. From special head marking to custom plating, every step adheres to strict controls to ensure product quality and integrity. Hydraulic Universal Testing Machine with computer-based, automated, closed loop digital servo control and data acquisition system. 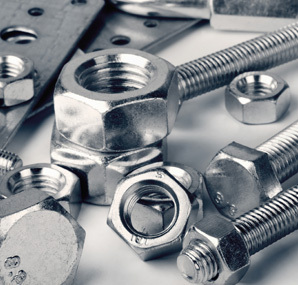 If you are seeking a supplier for your mining fasteners and other custom fastener services, look no further than Chicago Nut & Bolt. It takes 50 of these 3-pound bolts to secure the electric engine inside each eight-foot wheel of Komatsu Haulpak off-highway trucks. Manufactured in Peoria, Illinois, these mammoth 300-ton dump trucks are the workhorse of mining industry operations across the nation. Chicago Nut & Bolt keeps wheels turning as the manufacturer of choice for more than a dozen Haulpak mining fasteners and custom parts. It had tried traditional distributors before, but by going direct, Komatsu realized the cost savings and coordinated delivery schedules it was looking for in a single-source Custom Fastener Manufacturer and supplier. A leading manufacturer of railroad locomotives, GE Transportation Systems makes quality a priority. So when the company asked its vendors if they had what it takes to be a world-class supplier, Chicago Nut & Bolt rose to the challenge. Today, we manufacture all heavy machinery fasteners and other Custom Fasteners for GE Transportation Systems according to Six Sigma specifications, the company's own quality program that goes above and beyond industry standards. 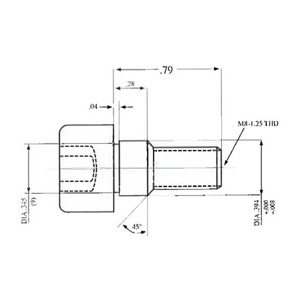 We manufacture these heavy machinery fasteners in yearly quantities, inventory them on our shelves and provide a seamless supply based on electronically transmitted weekly schedules. 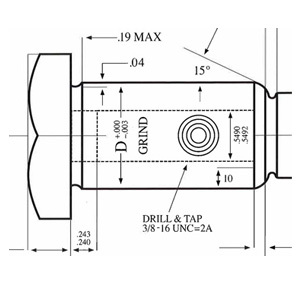 Chicago Nut & Bolt also manufactures military fasteners. 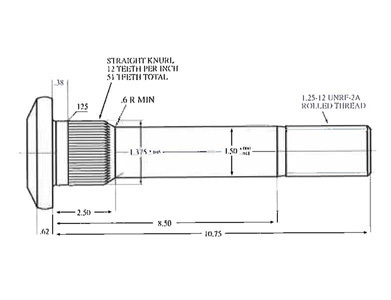 We work with military contractors on a variety of projects which called for custom fasteners to be used. Only the highest quality materials and precise manufacturing processes could be used to achieve the level of craftsmanship the military requires for all components of vehicles in use. 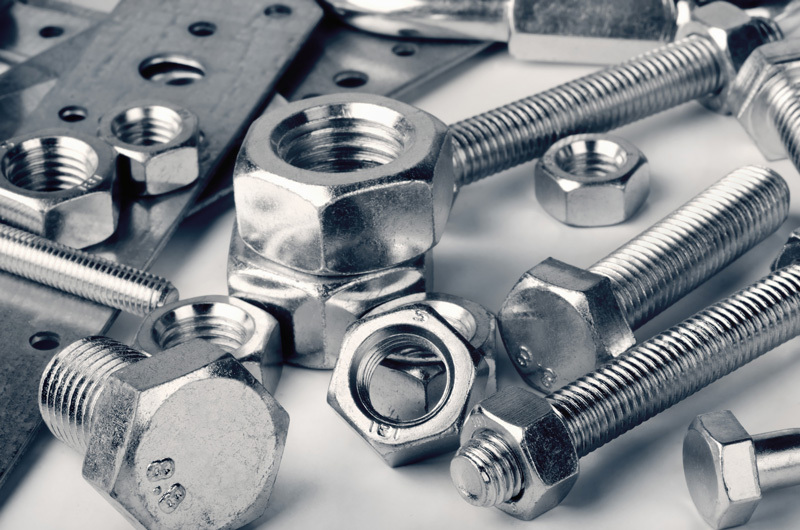 Chicago Nut & Bolt is ready and willing to provide their expertise and services to help assist in the design and development of components utilizing custom made military fasteners. 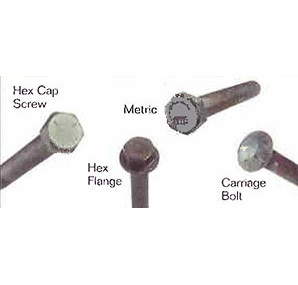 If you need railroad fasteners from a reliable supplier, you can look to us. A leading manufacturer of railroad locomotives, GE Transportation Systems makes quality a priority. So when the company asked its vendors if they had what it takes to be a world-class supplier, Chicago Nut & Bolt was a natural. Today, we manufacture all railroad fasteners Custom Fasteners for GE Transportation Systems according to Six Sigma specifications, the company's own quality program that goes above and beyond industry standards. 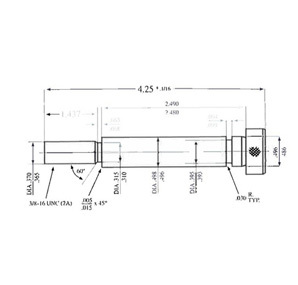 We manufacture railway fasteners and other products in yearly quantities, inventory them on our shelves and provide a seamless supply based on electronically transmitted weekly schedules. If you are looking for agricultural fasteners, look no further than Chicago Nut & Bolt, As a leading manufacturer of agricultural equipment, DM1 does its share to ensure that America's breadbasket stays full. High demand for DMI's revolutionary new tillage system requires extraordinary service from its vendors. Chicago Nut & Bolt delivers with an uninterrupted supply of 40 different custom agricultural fasteners. Every Monday, we receive an MRP schedule for all the custom parts DM1 will need for the next six months, a schedule that changes weekly. Our internal systems ensure that the right agricultural fasteners and other parts arrive at DM1 on time, every time.